The internet would be a really interesting place if every article that was shared automatically had a “via link.” Ok, so the internet is already interesting. But what makes the internet such a great place is its connectivity. Everything is linked together. We can easily share a link to an article. So many links all over the place. But how did each person discover their link in the first place? Where are people discovering things to share? For instance; the Executive editorial director of Encyclopedia Britannica, J.E. 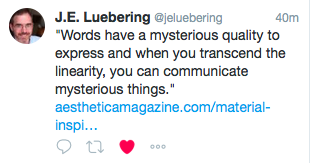 Luebering, tweeted a link to a fascinating quote from an interview with Jukhee Kwon. I’m totally curious how Luebering found this interview. We have all these little links and nuggets shared across the web. But how were they discovered? For awhile I was keeping track of how I discovered books. Also, when I save an article in my Evernote, I often tag the article with the person who initially shared it online. However, this source information is stored in my own private Evernote. 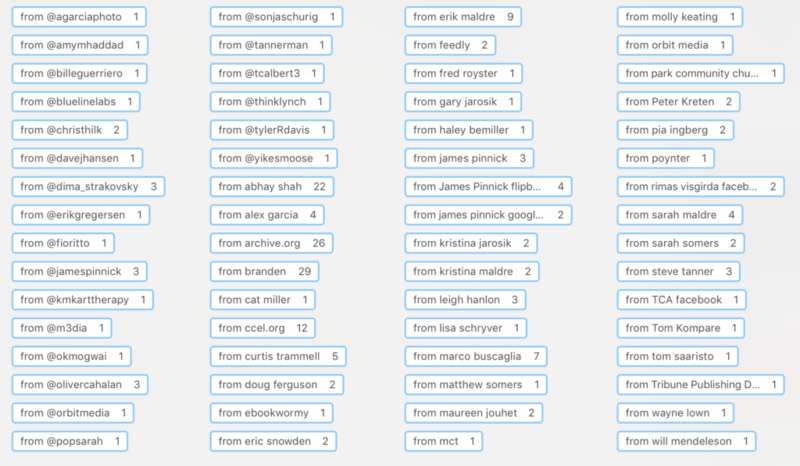 What if this piece of metadata was embedded into every single tweet? That would be awesome. We already kinda have that the sourcing functionality in Twitter with the retweet. When a link isn’t retweeted, people can use the text “via ________”. But it seems most people don’t really include the “via” anymore. It takes too much work to put “via _____” in the tweet. Imagine if this via information wasn’t manual. It just simply happened somehow on your computer. Did you find that article via an email newsletter? A tweet? Someone on Facebook? A Google search? A regular visit to a website? To make this metadata happen, there would have to be too much tracking of your online behavior. In most cases people don’t want you to know their sources of discovery. But then we are losing out on so much on the trails of exploration. It’s like we are kicking over the paths of content discovery. By the way, my curiosity about J.E. Luebering’s tweet might be solved, in a way. The tweet goes to an interview about how an artist slices up discarded encyclopedias. Luebering is the editorial director of Encyclopedia Britannica. Most likely he has a Google Alert for Encyclopedia Britannica being mentioned. Or someone in the office shared the article internally.